Up until the late 1980s, most internal combustion engines relied upon a carburetor for properly mixing its fuel and air. Now cars use fuel injection. The carburetor ensures that the right amount of fuel gets into the engine so that the combustion process can be successful. 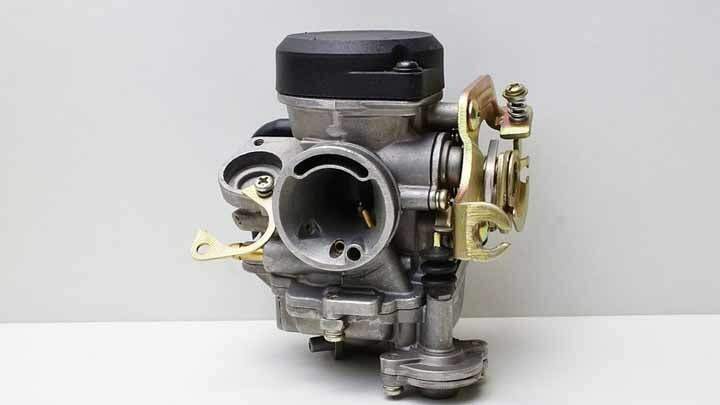 However, carburetors tend to build up dirt in them over time as they continue to be used. If carburetors are not periodically cleaned, then they may prevent the proper amount of fuel from getting into the engine. If there is not enough gas in the engine, it will greatly decrease your vehicle’s performance, cause your engine to sputter or just die in the middle of running, make it hard to start, or even flood your carburetor with fuel. 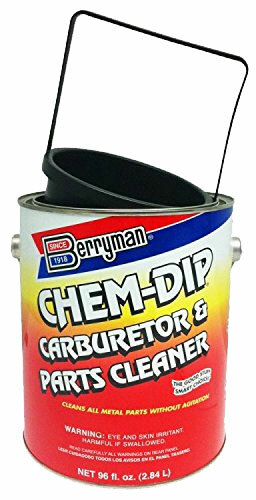 Berryman Cham-Dip is a fast-acting immersion carb cleaner that does a fanstastic job of cleaning sludge, gum, carbon deposits, varnish, oil, and grease on carburetor, transmission, and other hard to clean parts in your car. The 0.75 gallon container contains a small dip basket to put your part(s) in and then into a non-flammable formula that’s safe for all metal parts, alloys, plastic, and rubber and won’t cause rust. Cleans your carb in as little as 15-30 minutes. Gumout Jet Spray will allow you to avoid the tough disassembly of your carburetor parts and allow you to clean them with a simple-to-use aerosol spray. It will clean away gum, varnish, and dirt buildup on all unpainted metal parts of your carburetor which may cure rough idling, hard starting, stalling, and lost performance. Very budget friendly and does the job well. If you want a solution that cleans and quickly dissolves fuel residue, gum, carbon buid-up, and varnish in your carburetor, then you’ll want to consider Berryman 0117C B-12 Chemtool cleaner. This solution contains Berryman’s patented “High Energy Solvent Technology” that does a great job of cleaning these internal parts. Mag 1 414 carb and choke cleaner spray is comprised of various strong solvents that do a thorough job of removing dirt deposits and grime from plastic and metals parts. It even works well on removing oil stains from your garage floor. Made in the USA, Berkebile 2+2 carb cleaner is a concentrated formula that quickly and effectively cleans carburetors and other metal parts. The can is a bit smaller than others but because it’s stronger than the competition, you don’t need to use as much of it. When you have dirt deposits building up in your carburetor, CRC is a good cleaner for breaking down these deposits to prevent any further build up. As you continue to clean your carburetor regularly, the deposits will be removed completely. CRC is also compatible with any components which are coated. Mopar combustion chamber cleaner is specifically designed for Chrysler vehicles, but it should work just the same with the carburetors of other vehicles. The cleaner is formulated to remove dirt deposits, prevent varnish in the fuel system, and increase the overall performance of the vehicle. 3M carb cleaner is designed for both throttle bodies and carburetors. It is compatible with virtually all makes and models. It’s one of the easiest to apply sprays due to its ability to dispense even when the can is upside down. Works well but the container is small. This cleaner will head straight for the grime and dirt buildup which sits on all the parts of your carburetor. Gunk Carb-Medic is a chlorinated solution which leaves no residue behind. You will easily be able to remove grime, gunk, and dirt from your carburetor parts, throttle body, and other metal parts. Made specifically for Ford vehicles (but should work well for other makes), Motorcraft PM-2 cleaner works well to remove gum and deposits from dirty, blocked, or stuck carburetors. Recommended by Ford and cleans parts quickly and almost effortlessly.